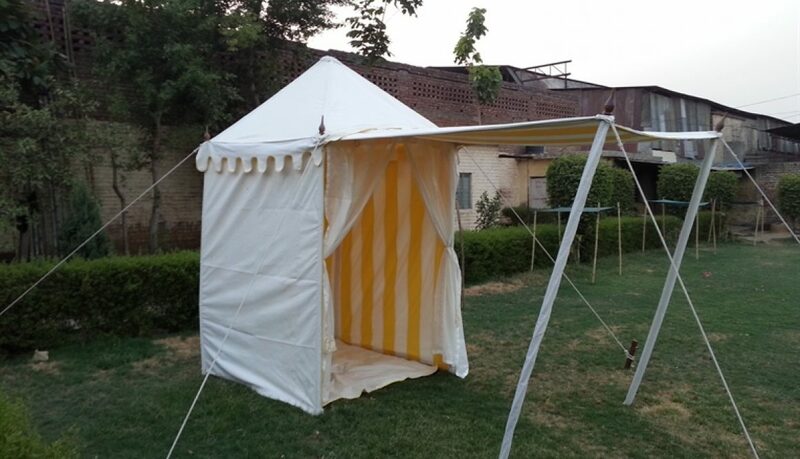 Our Small Tents for Gardens, are a big hit with the people interested in throwing personal parties. 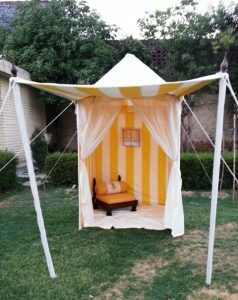 These Small Tents can be used as Tea Tents for Garden, as Garden Gazebos and also as Beach Tents, and Changing Room Tents on the beach. They generally come in 2 sizes, 6ft x 6ft and 5ft x 5ft. 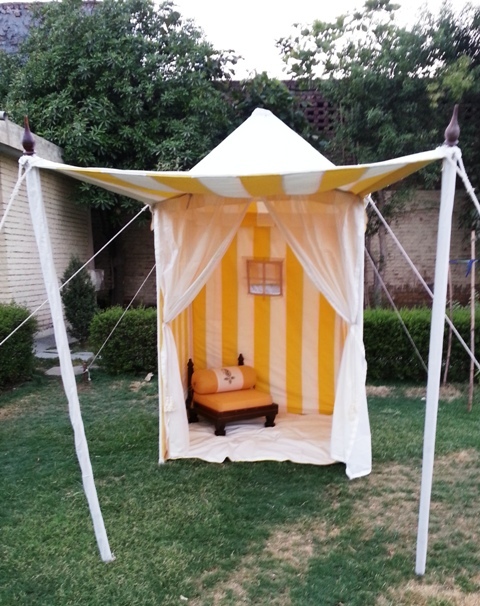 This tent is easily portable, and can be set up by one or two persons only. 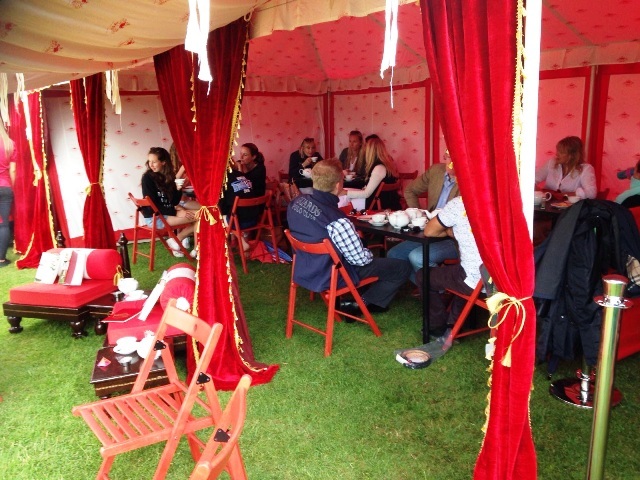 Carry it with you in your car boot, for a picnic next time ! 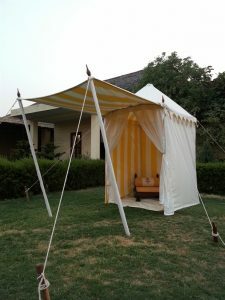 Better known as Picnic tents, and Very easy to assemble and dismantle, these small tents have no Center pole, hence it has entire inner area for utilization. 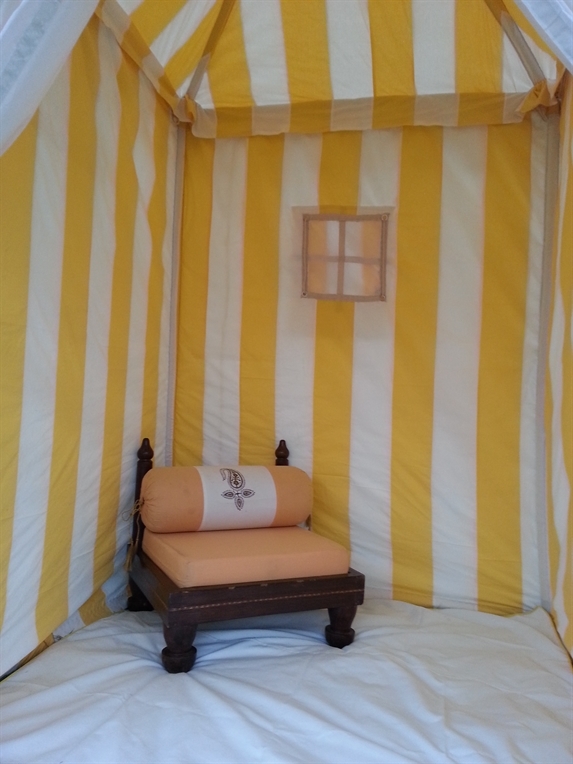 You can also buy Low wooden Seats with matching covers, to complete the look of this Small Tent. 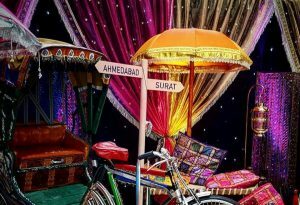 New Urban trend of Tea Saloons is fast catching up after Cafes and Lounges. 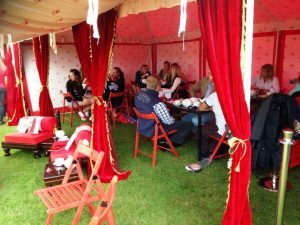 Our bright Garden Umbrellas are much in demand for decoration and props in these new happening places by interior designers and event planners.